Are you looking for remarkable distance with exceptionally soft feel? The New Titleist AVX brings all these premium features plus it's now available in Yellow! The balls when I received the correct one were good. These balls met the five star mint rating that I am used to. Some had pretty deep scuffs on them. Contained mostly the right balls, but had several from different brands. 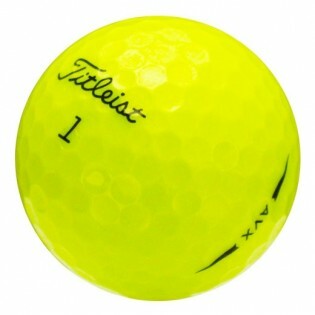 Still a decent value for the price, but not as good as expected with 2-3 sub-par balls in the mix. They hit just like brand new ones. Balls came just as they described for Near mint, a few sharpie markings and maybe some slight discoloration. Will definitely order again. Good ball. Similar playing to the NXT. Easy ordering. Product received as described. Great value and will buy again from.